The number of children in care in England has increased slightly from 64,400 last year to 65,520 this year. 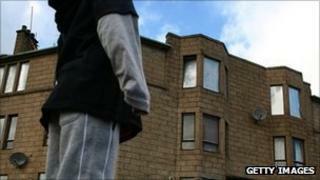 Department for Education data shows 27,310 children were taken into care during the year ending 31 March 2011, down from 28,090 the previous year. There was also a fall in the number of looked-after children placed for adoption from 2,720 in 2007 to 2,450. The number of unaccompanied asylum seeker children fell from 3,880 in 2009 and 3,440 in 2010 to 2,680 this year. Of these, 2,490 were taken into care because of absent parenting. The majority (48,530) of children looked after in 2011 were in a foster placement. But 7,910 were cared for in residential accommodation such as secure units, children's homes, hostels and residential schools. For those children who started to be looked after during the year, the main reason for being taken into care was abuse or neglect (40,410 children affected). Family dysfuntion was the next most common factor, affecting 8,930 children. Only 60 children under the age of one were formally adopted, compared to 70 children in 2010 and 150 in 2007. And the average length of time children waited to be adopted was two years and seven months. The average age at the time of adoption was three years and 10 months. The proportion of young people leaving care who were not in education, employment or training (Neet) has increased from 32% last year to 33% this year. The figures also show there were 350 young mothers aged 12 and over who were in care, down from 390 in 2010. The majority of these girls (70%) were classified as white, while 13% were classified as black. In total, 26,830 children were taken out of care during the year ending 31 March, an increase of 6% on 2010 and 7% on 2007. Children's Minister Tim Loughton said the statistics were a "timely reminder" that more must be done for children in care. "It's worrying that the number of adoptions has continued to decline, and it's simply not good enough for vulnerable children to be waiting well over two years to be adopted," he said. "It's also concerning that for those children leaving care, around a third are not in education, employment or training - much higher than the general population. "We're determined to change this. New guidance, issued earlier this year, stripped away some of the myths blocking potentially suitable adoptions." Anthony Douglas, chief executive of the organisation Cafcass, which looks after the interests of children involved in family proceedings, said: "Behind the figures are children in desperate and sometimes life-threatening situations, who are being better supported. "Children in care are now less of a concern than children remaining in serious need in the community, whose support systems, professional and family, are often too fragile. "Intervening in the community to make children safer over their childhood as a whole has to be a top priority for all of us in government and civil society."